The 2019 MINI Hardtop has an undeniable fun factor. Drivers love this compact hatchback's playful handling and brisk acceleration. Adorable styling makes the MINI Hardtop even more special. With so many customizations available for the Hardtop, you'll be able to easily give it a personal touch. Although this a very small car, it's perfectly matched for the city. Let's find out if the Hardtop's good qualities outweigh its bad traits. To the delight of smartphone users, the 2019 MINI Hardtop now offers Apple CarPlay and wireless charging. An updated infotainment system also highlights the list of changes. Three new trims have been added to the lineup. If you don't want to spend the money on a more expensive trim, stick with the base Classic model. You can expect to have almost as much fun. Although the hatchback's turbocharged three-cylinder engine is tiny, it packs 134 horsepower and a noteworthy 162 pound-feet of torque. You'll hit 60 mph in about 7.3 seconds. Fuel economy is solid as well. The federal government rates it to return 28 mpg in town and 38 mpg on the freeway. While a fun S model is available, the John Cooper Works model is the hot rod of the lineup. It comes equipped with a 2.0L TwinPower Turbo engine, which is the same engine found in several BMW models. It pushes out just shy of 230 horsepower and 236 pound-feet of torque. Some car reviewers have clocked the John Cooper Works model with a 0-60 time of 5.9 seconds. A sports-calibrated suspension comes standard. Driver applaud the 2019 MINI Hardtop for its playful character on the road. It gives you the feeling of being behind the wheel of a powerful go-kart. Although you can get the Hardtop with an automatic transmission, the six-speed manual is the go-to choice among driving enthusiasts. You'll find the MINI hardtop to be especially at home on a winding canyon road. Because of the car's direct steering and tight handling, some drivers will take it to the track. 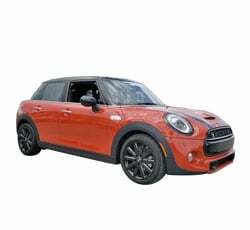 Right out of the box, the 2019 MINI Hardtop is an engaging car to drive. However, some drivers will ultimately desire more excitement. Fortunately, MINI does offer some worthy upgrades. When equipped with the optional summer performance tires, this car sticks to the road like glue. Several John Cooper Works parts are available. While the sport exhaust gives the MINI Hardtop a more exciting sound, larger brakes ensure quicker stops on the track. If you like to get noticed, the 2019 MINI Hardtop is a great choice. It shares many styling cues with the original model that first hit the scene during the 1960s. When driving around in the new MINI Hardtop, plan on getting a great deal of attention. Although the base model looks nice, more appearance upgrades are found on the upper trims. Models fitted with a vented hood looks especially muscular. MINI allows buyers to give their Hardtop a personal touch. A wide range of different customizations are available. A lot of drivers will be interested in the various wheel designs. Some of the energetic paint colors include Electric Blue, Solaris Orange Metallic, Ice Blue Special Edition, and Chili Red. Optional racing stripes truly take the Hardtop's styling to the next level. You can customize the interior as well. The 2019 MINI Hardtop is a tad more expensive than some of today's other subcompact cars. 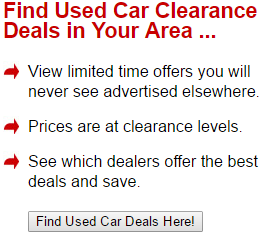 Nevertheless, it's definitely within the reach of the average car buyer. Most of the Hardtop's rivals don't feel nearly as special. Prices start at a reasonable $22,000 for the two-door version. Expect the four-door Hardtop to be slightly higher. Some of the noteworthy standard features include a 6.5-inch infotainment display with smartphone integration, multicolor ambient lighting, and parking sensors. A boxy design helps the 2019 MINI Hardtop to reward drivers with good outward visibility. An upright windshield enables you to obtain a great view of the street. You'll also enjoy the Hardtop's well-placed mirrors, which help uncover oncoming vehicles in the next lane. 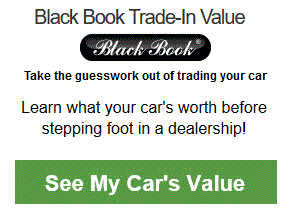 When backing out of tight spots, drivers will certainly appreciate the hatchback's lack of large blind spots. If you desire advanced driving aids, opt for the Active Driving Assistant package. It includes forward collision warning, which does a good job of cautioning drivers during panic situations. Meanwhile, adaptive cruise control allows you to take your foot off the accelerator on extended highway trips. Automatic high-beam control comes with the package as well. Although there are several options available, the 12-speaker Harman Kardon sound system is among the best. It comes equipped with a trunk-mounted, 360-watt amplifier. You'll be able to pump up the volume without experiencing any distortion. Music fans will love this system's precise sound. Don't expect the 2019 MINI Hardtop to make the best family vehicle. The two-door version is definitely more suitable for the drivers who don't have any kids. While there's more space inside the four-door Hardtop, your taller friends will likely start to feel cramped on long trips. The similarly priced 2019 Volkswagen Golf is a far better option for families. MINI designed this hatchback to deliver a sporty driving experience. It certainly does not deliver a soft ride. Because of the Hardtop's firmer suspension tuning and low-profile tires, you can expect to feel more vibrations from the road surface. Models equipped with larger wheels ride even stiffer. If you desire a whisper-quiet cabin, the 2019 MINI Hardtop may leave you a bit disappointed. When driving along the interstate, expect to hear a fair amount of wind and road noise. Drivers who prefer a quieter ride should check out a less performance-oriented hatchback such as the 2019 Subaru Impreza. Despite the Hardtop's excellent outward visibility, some drivers will desire a greater sense of awareness. Unfortunately, you don't have access to driving aids such as blind-spot monitoring. MINI also does not offer automatic collision braking on the Hardtop. All variants of the 2019 MINI Hardtop come equipped with front-wheel drive. While this won't be an issue for most drivers, it may pose a problem for the folks who live in a snow-prone region. The Subaru Impreza hatchback's Symmetrical AWD system make it a top choice for winter driving. When looking for a subcompact hatchback, be sure to sample the 2019 Ford Fiesta. A high-performance ST model enables the Fiesta to easily match the Hardtop's fun factor. A lot of technology lovers will like Ford's Sync 3 infotainment system. While the Fiesta is efficient and handles well, its interior feels much cheaper. You should also consider the 2019 Volkswagen GTI. It goes head-to-head against the John Cooper Works version of the MINI Hardtop. Not only is the Volkswagen GTI more spacious, but it also has a better ride quality. However, some drivers will prefer the MINI Hardtop's more unique styling. The 2019 Fiat 500 is a good match for the MINI Hardtop. Like the MINI Hardtop, this little Italian hatchback offers a number of customizations. It also offers a high-performance Abarth model. Keep in mind the Fiat 500 has a significantly lower starting price. Don't forget about the 2019 Honda Fit. Although the Honda Fit may not have the Hardtop's visual flair, it's a lot more practical. The versatile Honda Fit is highly recommended for families. If you place a high priority on driving excitement, the 2019 MINI Hardtop certainly deserves your attention. Cool customizations add to the Hardtop's appeal. On the downside, this subcompact car does not provide a lot of passenger room. Cargo space is compromised as well. Furthermore, some people will not enjoy the Hardtop's stiff ride.